French President Emmanuel Macron on Friday appointed a panel of experts to investigate France's actions in Rwanda during the country's genocide 25 years ago, a subject that has dogged Franco-Rwandan relations since the 1994 massacres. The commission of eight researchers and historians "will be tasked with consulting all France's archives relating to the genocide [...] in order to analyses the role and engagement of France during that period," the presidency said in a statement. The commission will look at the period from 1990 to 1994 to "contribute to a better understanding and knowledge of the genocide of Tutsis," the statement said. The findings will enrich material used to teach people in France about the genocide, it added. Rwanda has accused France of being complicit in the genocide of an estimated 800,000 mostly ethnic Tutsis through its support for the Hutu-led government of the day. Relations have improved in the past decade, though Macron caused disappointment among genocide survivors by turning down an invitation to attend this weekend's genocide commemorations in Rwanda. 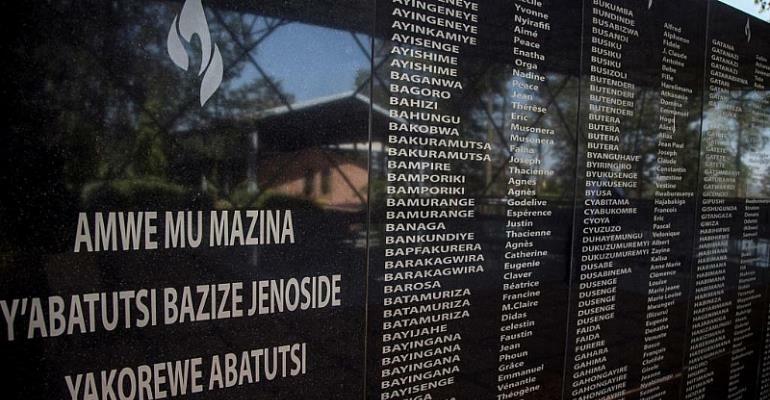 In December 2018, France dropped a longstanding investigation into nine Rwandan officials in connection with the April 6, 1994 plane crash that killed then-president Juvenal Habyarimana and triggered the massacres.